So Lonely in Gorgeous: The Pomp & Ceremony of Achieving A Bronzed Glow: Laura Mercier Baked Blush Bronze In Ritual. The Pomp & Ceremony of Achieving A Bronzed Glow: Laura Mercier Baked Blush Bronze In Ritual. 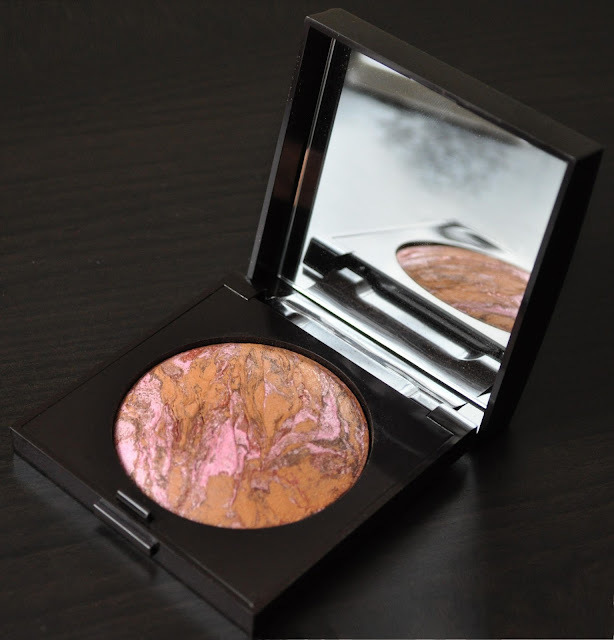 I've had Laura Mercier's Baked Blush Bronze in Ritual for 11 days, and I'm totally enamored with it! The compact comes with a generous size mirror. 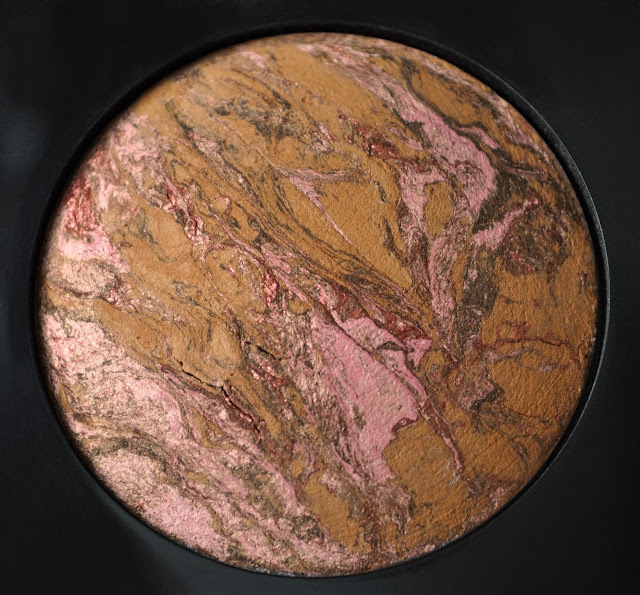 Each Baked Blush Bronzer has it's own unique marbleized pattern. 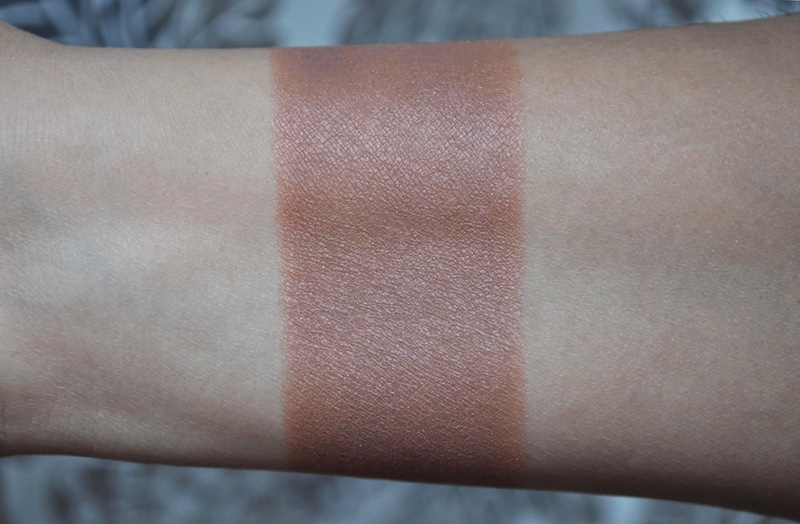 While swatching, Ritual had me going Ooh-Aah, and it feels absolutely heavenly on the skin. Ritual is a pinky-bronze brown with a sun-kissed, satin finish. I'm a huge fan of pinkish/red toned bronzers; I find they give a more natural "been playing in the sun" look. By the way, I've tired Ritual on the lids and it looks lovely. Released with Laura Mercier's Summer 2013 'Folklore' Collection, Rital is limited edition, so if you can get your hands on it, do so! The Folklore Collection launched on August 2nd in Japan, so I'm thinking about picking up a few more items. Did you pick up any items from the Folklore Collection? This is sooo beautiful! I can see lightly on the cheeks being such a warming contouring blush! Would be a lovely eyeshadow too! It looks beautiful used both ways! I haven't put it down since I got it.